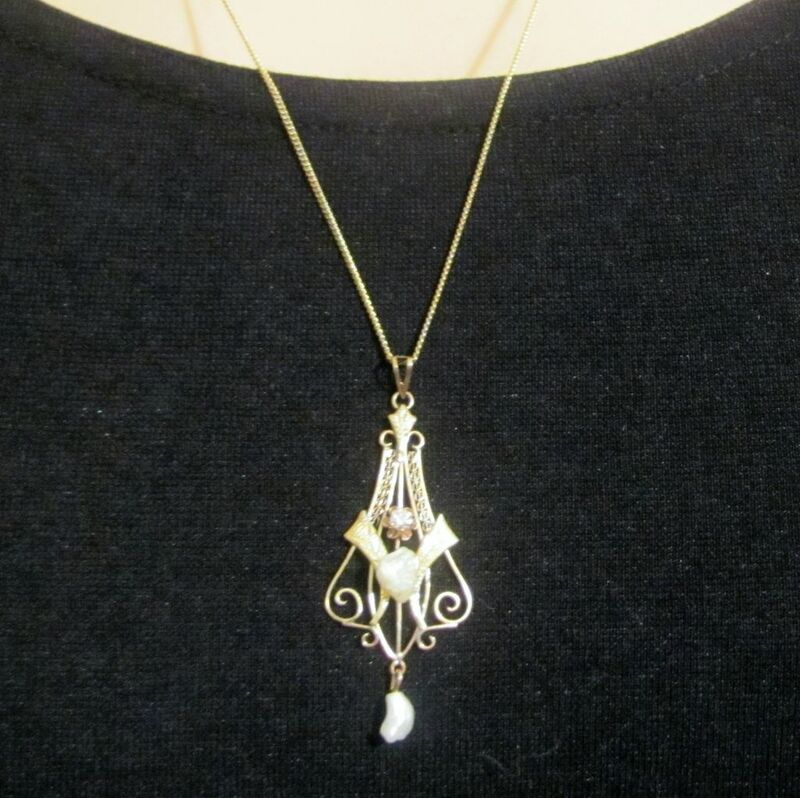 Offering for your consideration is this beautiful, antique (circa 1880's - 1910) 14K solid gold Victorian lavalier necklace. 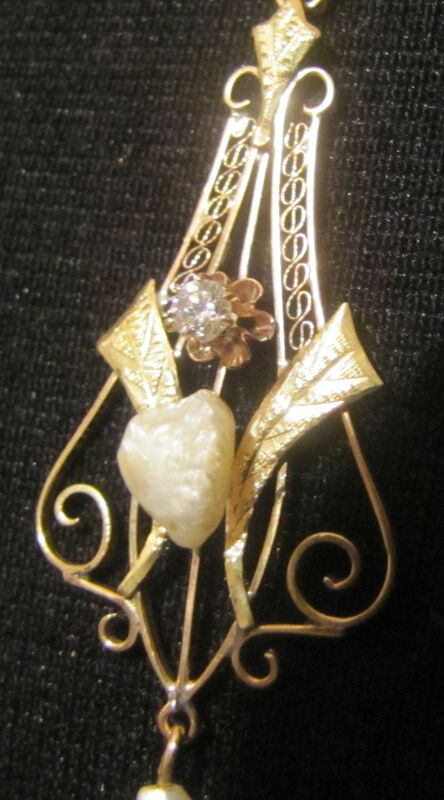 The necklace has a center diamond measuring about 1/8" across in diameter and two nicely shaped seed pearls. 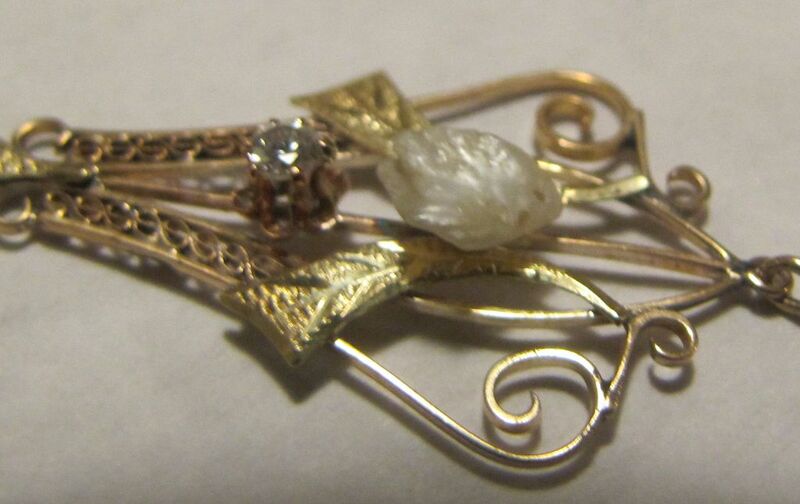 The diamond is prong set and is set into a rose gold flower. 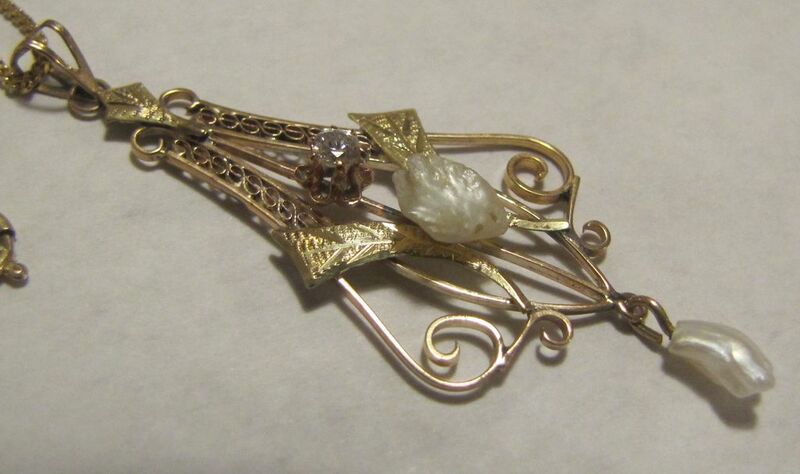 It has a very nice filigree work with a diamond cut leaf design on two bands and on the top also. 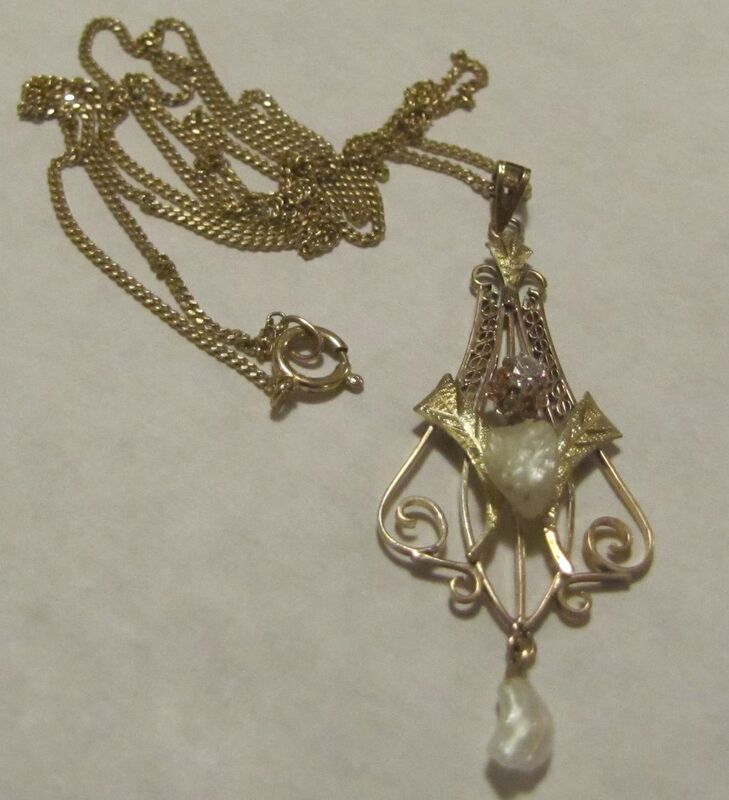 The chain is also 14K gold and measures a long 19 3/4", with a spring clasp. 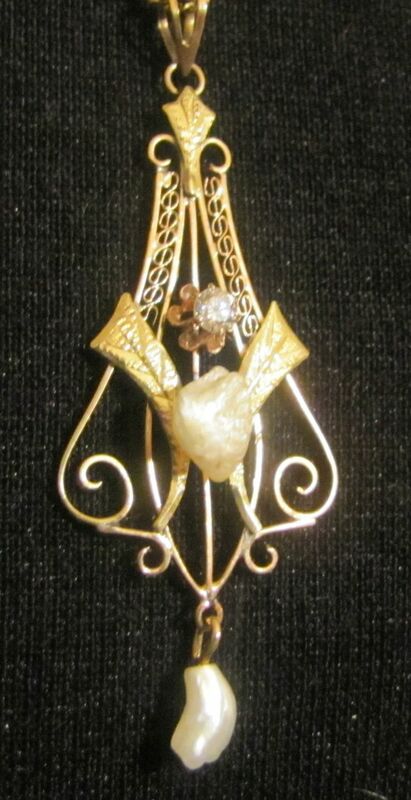 The lavalier drop measures 2" long by 3/4" wide. 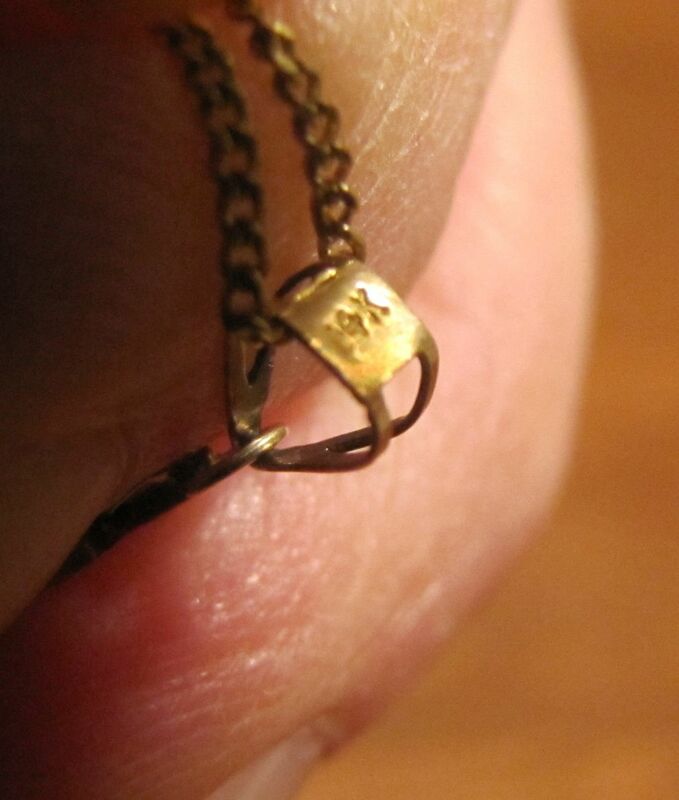 The weight for both the pendant and chain is 3.1 grams. 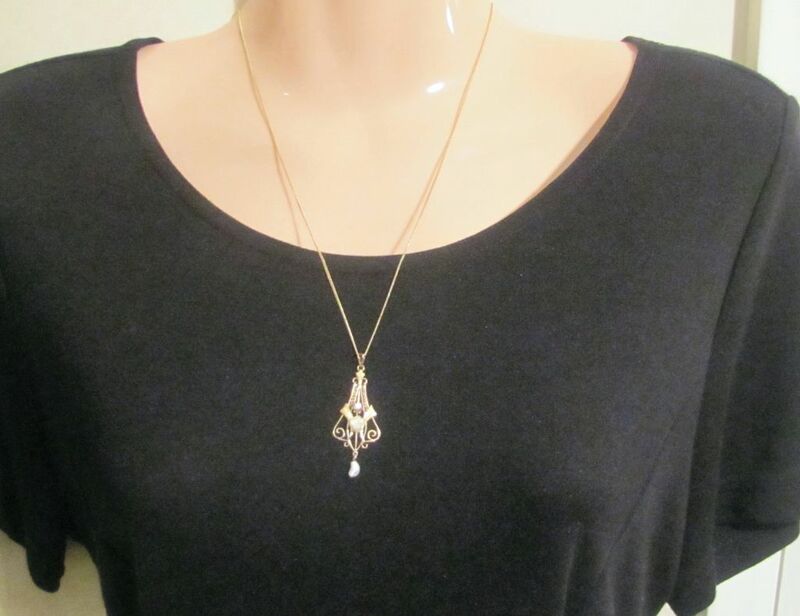 The mannequin used is full sized so you can easily get an idea of the size of the necklace. Both pieces are in good condition and still have retained their shine.